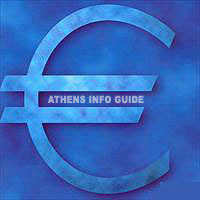 As the capital city of Greece, Athens has a lot of International banks. Their main offices are mostly located in the city center with branches around town and in Piraeus. Most of the bigger banks in the center have an ATM machine that you can get money from 24/7..... if you have some left on your account of course. 9, Vas. Sofias & 1, Merlin. 192, Praxitelous & B' Merarxias. 1, Varnali Street( Dourou Sq). 3, And. Dimitriou , Kyprou Sq. 310, Kifissias Avenue & Gortunias.